Everyone knows that Freddie Wong is the top sharpshooting action hero. But every action movie hero has a bad first date, so Freddie takes a trek to the Batcave looking for a little extra help. With the gadgets that he picks up, will it be enough to help him out if the his date goes south? Hang on for the date of Freddie’s life. This entry was posted in comedy on August 5, 2013 by Kevin Hsieh - channel APA. 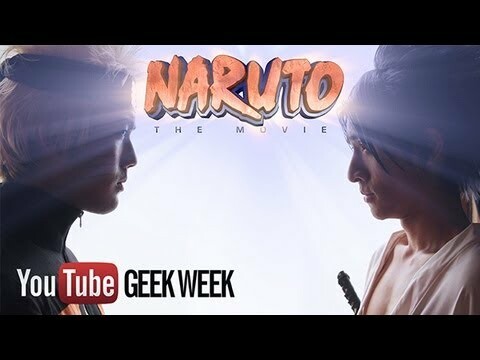 Ryan Higa released his latest trailer for his version of Naruto The Movie. Shot in Japan, he pulls out all the stops in the effect filled trailer along with Sasuke, Rock Lee, Shikamaru, Sakura, Gaara, and Neji. The action packed stunt choreography will have this as the must see movie of the summer. Also watch these trailers from Ryan Higa: Candy Crush the movie, Facebook the movie, and Saw the movie. What’s the connection between being Asian and being weird? 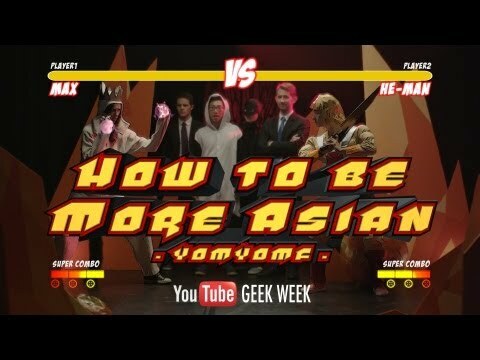 The song “How to be More Asian” tackles this question as the YOMYOMF family embarks on a musical journey exploring all things Asian, geeky and just plain weird from cosplay to eyeball licking to naked sushi to an explosive finale where we take to the dance floor K-Pop/Bollywood style. It will have you pondering how Asian you really are. Make sure you look out for your favorite YouTubers in cameos who are on their geekiest behavior and support their channels including The Fu music, Amy Okuda, Chester See, KevJumba, Lana McKissack, Ryan Higa, and Sandeep Parikh. This entry was posted in comedy, music on August 5, 2013 by Kevin Hsieh - channel APA. An amazing sneak peek at the most explosive new season of ‘The Bachelor’ yet! Starring North Korea’s hottest and most eligible Supreme Leader, Kim Jong-Un, and the 25 gorgeous women chasing his heart! Don’t miss the dates! The drama! The executions? Hearts will be broken, connections made, and thousands will starve as this handsome fascist begins his breathtaking journey for love! This entry was posted in comedy on August 4, 2013 by Kevin Hsieh - channel APA.